It uses an electrical current produced by radio waves to super-heat a small section of nerve tissue. This decreases pain signals from that area. 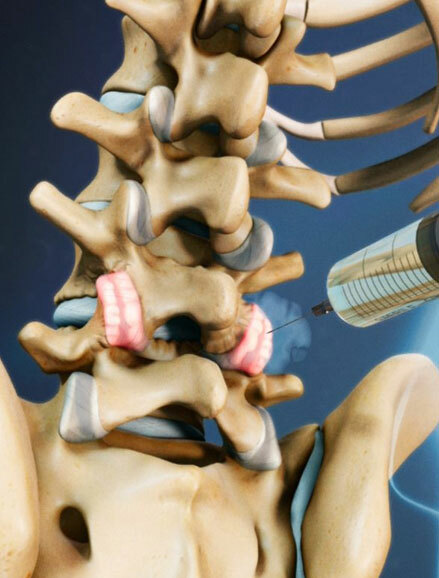 Candidates for this procedure have likely tried epidural steroid injection, facet joint injection and sympathetic nerve blocks, and desire a more long-lasting treatment. The procedure can be done under IV sedation or using local anesthesia. After the area is numbed, the surgeon uses live X-ray t guide him or her to the affected medial or lateral branch nerves. A tiny electrical current is passed through a needle to the targeted nerve to ensure precision. It may cause brief discomfort and muscle twitching. Radio frequency waves heat the tip of the needle to create a heat lesion in the affected nerve. This disrupts its ability to send pain signals to the brain. Most people tolerate RFA well, and it has few complications. Common side-effects of bruising and swelling generally go away after a few days. The procedure has a 70 percent success rate. Its effects can last up to a year, but some people see some degree of pain relief for several years.